Cacio E Pepe pasta takes simple ingredients like cheese, pepper and pasta and makes it into something so comforting and delicious. I figured, taking those same ingredients and adding it to popcorn had some real potential. 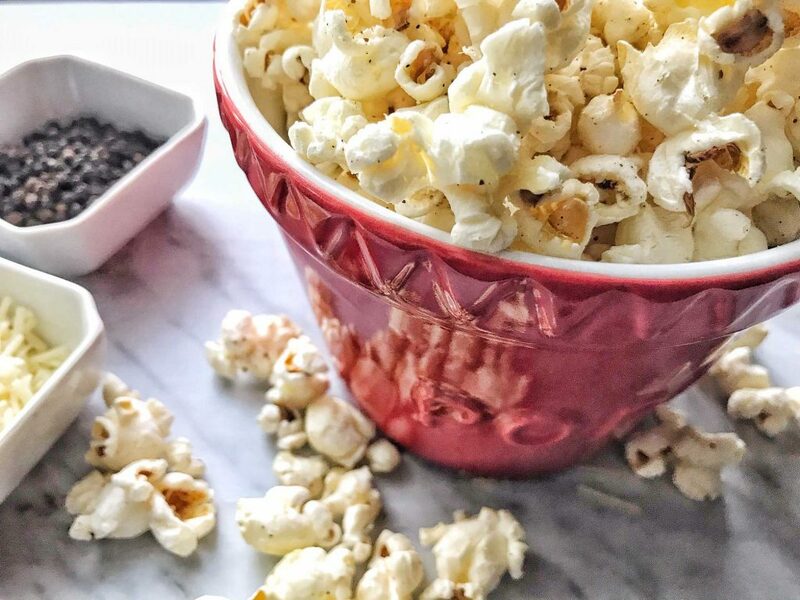 This savoury combination has the same effect with popped kernels and boy, is it a satisfying snack. If you love cheese, there is bound to be lots of extra cheese at the bottom of the bowl. My son and I always fight for the last morsels. On another note, how gorgeous is that pepper mill made by my very talented neighbour. I just love it! We have the best neighbours ever. Pour the popcorn in a large bowl and give it a toss so that any remaining oil coats the popcorn. Add the cheese and pepper and toss again. 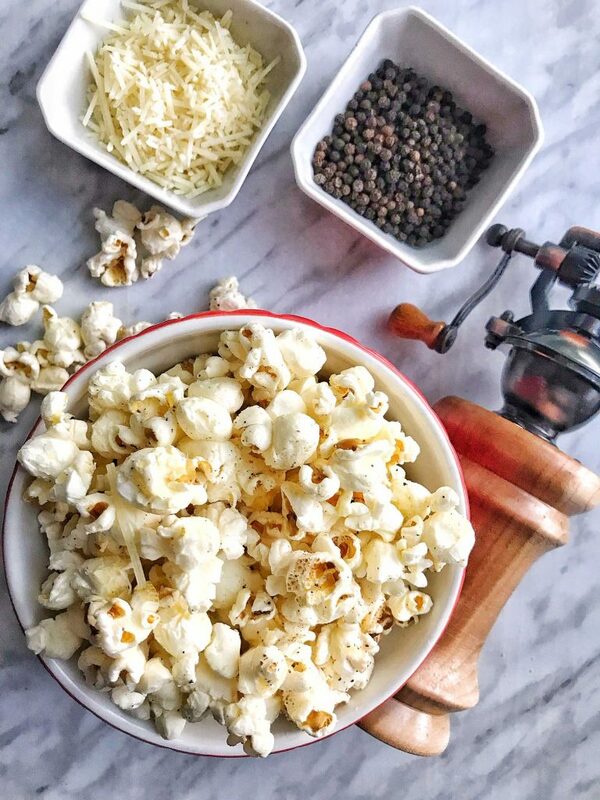 What a great idea to do a Cacio Pepe Popcorn. Definitely adding this to my popcorn flavour rotation.